Among “old-timers”, the Muncie transmission commands a certain degree of respect. Sure, you could get a manual in tons of cars from GM during the 60's and 70's, but the Muncie was the one to have. Saginaw transmissions were cheaper, and worked admirably, but scattering gear oil on the pavement was a scary reality if you pushed them too hard. So for many years “4 speed Muncie” was a big selling point in the automotive classifieds. They’d also pull a decent buck at the local swap meet- if they were there at all. Nowadays it’s outclassed by modern manual transmissions in pretty much every metric except simplicity and weight. A TR6060 or T56 will hold more power, shift easier, leak less, have a shorter first gear for acceleration and two overdrive gears to keep the revs down on the highway. However there’s still something cool about the Muncie. Maybe it’s the fact that it’s rebuildable at home if you pay attention and have access to a shop press. Maybe it’s the fact that it’s light enough for one person to easily remove and install. 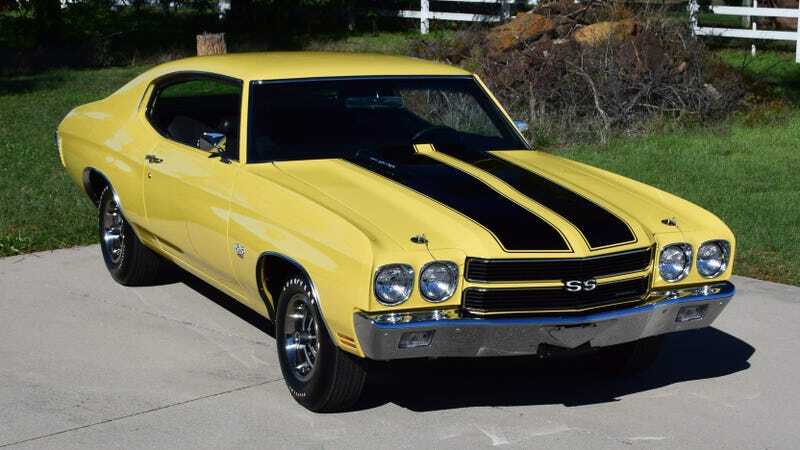 Or maybe it’s because GM’s best of the best came with it during the height of the original muscle car era. Regardless of reason, there’s some things to know about the design- especially if you are going to be owning or shifting one. But first, a quick history lesson. In the early 60's most of GM’s manual hot rods came with the Borg-Warner T10 (note: not the Super T10, that came later and replaced the Muncie). The T10 was a decent transmission in its own right, however it was not ready for the new power coming out of GM’s engine division. They needed something more modern, and the T10 was on borrowed time. That something came in 1963- the Muncie 4 speed. M20, the most common. It is sometimes referred to as the “wide ratio” trans since the gear ratios are further spread apart. M21, the next most common. It is sometimes referred to as the “close ratio” trans as the gear ratios are closer together in comparison to the M20. M22, the rarest of the bunch. It’s nickname is the “rock crusher” due to the noise generated by the gearset. The gear ratios are the same as in the M21, but the tooth angle is different. You’ll get more gear noise, but you’ll also get more strength. M20/M21 tooth angle vs. M22. Image credit where credit is due, I could not find an origin. Regarding strength, I have never seen official numbers but it’s kind of accepted that the stock M20 will be good with 400hp, the M21 450hp, and the M22 500hp (speaking in terms of SAE Net horsepower). You’ll get people that will argue about more or less and that they’ve slammed their M20 with 500hp+, but this is what I’ve seen from reputable sources. With modern parts, however, you can build a Muncie to take significantly more. Now on to some more technical stuff- internals of the trans. Gear ratios themselves were different in the early M20 transmissions (1963-1965) and then had no further changes during the rest of the Muncie’s production. Muncie gearsets. Image from ChevyDIY. Input shafts come in seven different flavors. Really what you need to be concerned with are the number of splines and the number of rings. 1.) 1963-1965 M20s have 10 splines, 24 gear teeth, and no rings. 2.) 1966-1970 M20s have 10 splines, 21 gear teeth, and two rings. 3.) 1970-1974 M20s have 26 splines, 21 gear teeth, and two rings. 4.) 1963-1970 M21s have 10 splines, 26 gear teeth, and one ring. 5.) 1970-1974 M21s have 26 splines, 26 gear teeth, and one ring. 6.) 1967-1970 M22s have 10 splines, 26 gear teeth, and no rings. 7.) 1970-1974 M22s have 26 splines, 26 gear teeth, and no rings. Output shafts are simpler: there are two. All 10 spline input shafts come with a 27 spline output shaft. All 26 spline input shafts come with a 32 spline output shaft. You need to know this so you can match up your driveshaft yoke. There are two countershafts as well. 1965 and earlier had a 7/8" countershaft, 1966 and later had a 1" countershaft. You need to know this if you plan on purchasing a rebuild kit. Years ago I was told by a reputable Muncie builder to only buy rebuild kits that come with a new countershaft. It’s great advice- more on that a bit later. The big thing here is that 1963-1965 Muncies had a 7/8" countershaft and 1966-1974 had 1" countershafts. Oh, and the ‘63 Muncie had a smaller front bearing. The cases are made of cast aluminum, and can be positively ID’d by the casting number up top. This is a -325 case, which means it’s from a 1964-1965 vehicle. It may also have a partial VIN stamped on the side. If you are buying a trans or an empty case, look at the aluminum that the drain plug goes into. Look for signs of cracking as people are known to put too much torque into fasteners that go into aluminum. First is the dreaded “Van Gogh” mod. Muncies have been known to bust ears off of the main case from too much torque, careless installation, and/or poor bellhousing alignment. There’s no shortage of cases like this out there, and while you can get it fixed by a welder (especially if you have the missing ear) sometimes it’s easier to just get a new case. Or, if you have the money, to upgrade the case to one made by AutoGear. Unknown source. Maybe Autogear themselves. They make great stuff. You can see it here. The countershaft is the circle at the bottom of the trans. What happens is this: the countershaft is a press fit into the hole in the main case. If the fit is sloppy (due to wear or abuse) the countershaft will spin in the hole and gear oil will leak out. It’s a very common occurrence, and more of an annoyance than anything else. Sadly, there’s no “easy fix” for a weepy countershaft hole. From what I can tell the only ways to fix it are to do some repair work to the case itself or replace it with an Autogear or a known-good stock main case. Most people just live with it. I know I did for a while. Tailhousings are pretty much standard, with the only differences really being for ‘63-’65 Pontiacs and 27 vs. 32 spline output shafts. Not much to report. Inside of the tailhousing will be the speedometer connection, shown here. 1.) 8 tooth 1.84" diameter gear. 2.) 8 tooth 1.76" diameter gear. 3.) 6 tooth 1.92" diameter gear (pretty rare). You can check which gear you have without counting teeth by measuring gear width. The 1.76" gear is 0.53" wide and the 1.84" gear is 0.61" wide. This is something you need to identify when you go to select your driven gear, which is the plastic gear underneath the drive gear. This is easy to change and is how you can calibrate your speedometer. There are online tools that help you figure out which gear you need. Just be sure to match the right drive and driven gear pair or you will chew up plastic driven gears. This is dependent on the year of the trans, but it’s easy to spot. Just make sure you get shifter linkage that matches your Muncie. Now on to the fun stuff. Maintaining and using your Muncie. Maintenance is pretty easy. With early cases (1963 to 1969, with the exception of all M22s) there’s no drain hole, so you have to remove the square-headed plug and siphon the old fluid out of the fill hole. Newer cases (1970+) have a drain plug that’s lower on the case, so that’s what you remove to get the old fluid out. This is an early case with no drain hole. It has a boss you can drill and tap if desired. If you do, add a magnetic plug and not just any old one from the hardware store. This is a later case (1970 I believe) with the drain hole drilled and tapped. Once the fluid is out, you fill the trans through the fill hole until the fluid *just* starts to weep back out. As you might guess, you should do this on level ground if possible. When either plug goes back in, use sealant on the threads as they are NPT and require it. Do not over torque the plugs. The trans will take 80W90 conventional gear oil. Some people like to use synthetic fluid but I don’t really think it makes that much of a difference. If you have to rebuild the trans, both good kits and good help are pretty easy to find. I’m not going to go too far into the details, but it’s a good idea to get a rebuild kit that includes a new countershaft, especially if your trans was weeping out the front hole. There are also excellent books and videos out there on rebuilding a Muncie. From what I recall, really the only specialty tools you will need is access to a press and snap ring pliers. Oh, and make sure you chill a six pack of your favorite beverage in the fridge when you are working with the needle bearings. You may need it afterward. Note: This is not sponsored by Autogear, but they make such nice stuff I have to give them a shoutout. Not only do they sell the upgraded maincase, but also cast iron (vs. the stock aluminum) midplates, upgraded tailhousings, modern gearsets, you name it. Hell, they even offer a gearset with an overdrive 4th and specialty sliders that help if your gear engagement teeth are worn. Definitely worth a look if you are going to crack open your trans or are looking to make some upgrades. Note that it’s just a rod coming off of the shifter tab, and it pulls an arm on the factory switch. Regarding shifters themselves, the stock unit works OK but it’s been known to bind up during hard shifting. So many people replace it for a Hurst Competition Plus which is far more positive in feel. If you *really* want to get a no-compromise shifter you can get a Hurst Super Shifter III, which has a handle for reverse lock-out and reinforced straight shift rods (to take harder abuse). Just know that you have to cut your trans tunnel for the rods to clear. With whatever you choose, just know it’s probably going to be a bit higher shift effort than you may be used to in a modern car. Operation? Hey, it’s simple. Reverse is up and to the left, and you may need to push through a lockout gate or lift a handle (such as in a Corvette) to get there. Other than that, it’s a 4-speed! Do this to it! This guy knows what’s up. There’s nothing quite like powershifting an old muscle car.